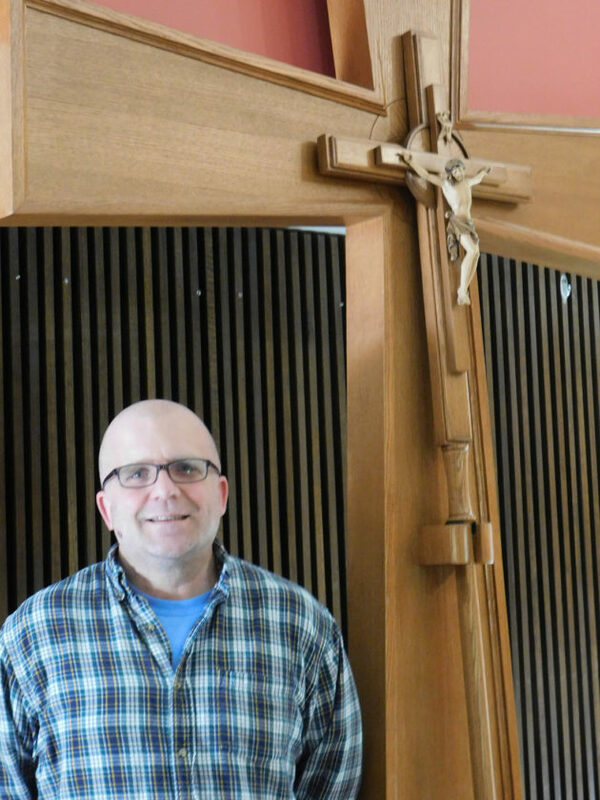 MARSHALL — The Southwest Minnesota State University Campus Religious Center will be the site for an ordination into the ministry Saturday. Jeff Greathouse will be ordained into the ministry after being called by Winds of the Prairie Ministries. One cannot get ordained in the Evangelical Lutheran Church of America Synod without first being called, Greathouse said. The ordination, normally held in the church in which the pastor will be serving, is being held at the Campus Religious Center for added space for attendees and so that his students may more easily attend, Greathouse said. ELCA Bishop John Anderson will be presiding over the ordination service Saturday. The installation will be conducted by the Rev. Kathryn Skoglund. There will be nine local pastors also taking part, Greathouse said. Seven current students and two alumni will also be participating (none local). Gwen Arneson of Cottonwood will perform the offertory on the religious center’s grand piano with other music provided by Dr. Susan Jones of SMSU faculty. The Gospel acclamation will be presented by Jacob Greathouse who will perform “Come and See” by Matt Redman. The Rev. Bruce Berg of Lake Benton will give the sermon. Greathouse said that he was inspired to change his vocational plans at a Bible camp. Greathouse earned a seminary degree from Cincinnati Christian University in Ohio in 1996 and graduated from Wortburg Theological Seminary in Dubuque, Iowa, earlier this year. Greathouse and his wife, Stacey, have three children. Isaiah, 21, is a sophomore at the University of South Dakota majoring in physical education with a minor in coaching. Jacob, 19, is a sophomore at the University of Minnesota majoring in human rights with an emphasis on the Islamic world. Bethany, 15, is a sophomore at Marshall High School. Stacey is a reading tutor at Park Side Elementary in Marshall.